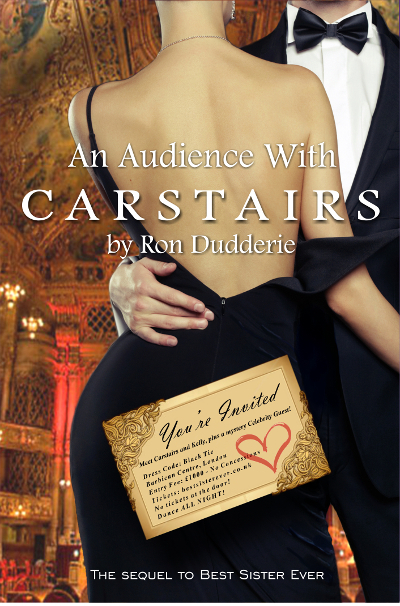 In An Audience With Carstairs, Martin’s wilde ride as a celebrity continues. There is an unresolved matter with Melody, the charming make-up girl he met on the set of his first commercial. And he also meets a journalist, who takes more than a professional interest. His drunk speech in a pub, which was picked up by The Sun, made quite a few people angry. Thank goodness his sister Kate is a PR-expert, who goes into damage-control mode. He’ll need all the help he can get. When Martin is asked to narrate an audio tour, it turns out he is a bit of an expert on art. As he prepares for a charity performance for his new friend Kelly, he somehow ends up on stage with two naked women and saves a valuable work of art. There are combo deals available if you’re missing one or more volumes. In that case, have a look in the shop. This download contains a PDF and ePub version of the book. Version 1.5.